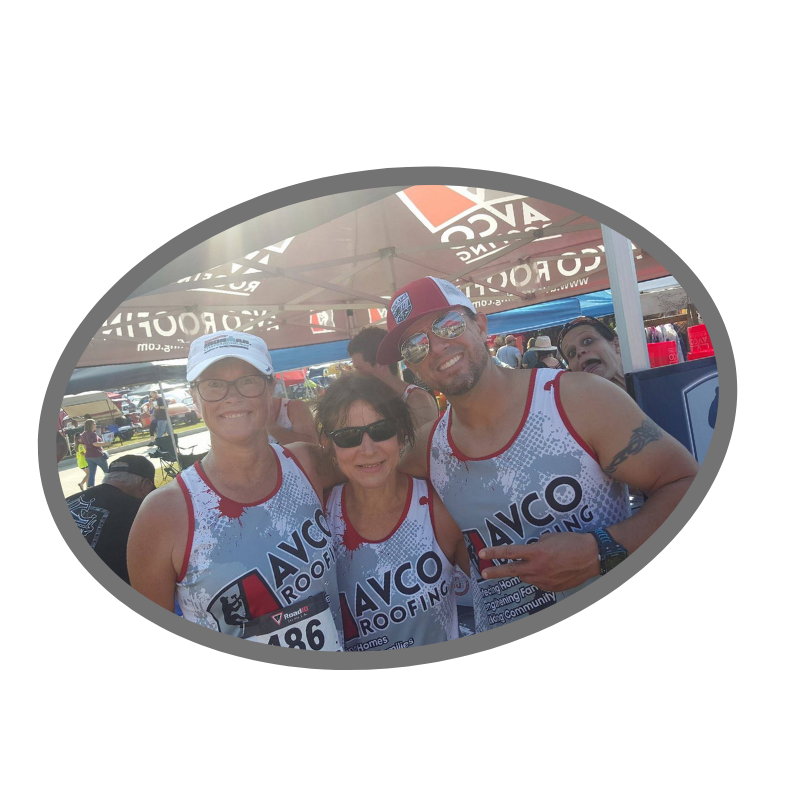 Welcome to the iTRI365 Ambassador Program, backed by our Annual Sponsor, Avco Roofing! iTRI365 has teamed up with AVCO Roofing to bring some racing perks to our local followers. Whether you’re a veteran or beginner, there are many advantages to joining our ambassador program. Both AVCO Roofing and iTRI365 rely on word-of-mouth marketing as one way to spread the word about our services and the worthwhile causes we support. As an ambassador, you will be help us stay connected in ways that we just can't. You're our ability to reach community, share our passions and help us continue to build our brands. Many of you already know that iTRI365 is about empowering as many people, regardless of experience or athletic ability. And if you're local, you already know that AVCO #givesback in ways that most companies don't or can't. We chose to work with them because of that shared passion for bringing people together and having fun. So how does this work? What do we need from you? And what do you get from us? Let's dive in! Ambassador shoutouts on our Facebook and Instagram pages. Blogging, Instagram, Facebook shares and tweeting regularly (at least 3x per month) about upcoming race news from iTRI365 Timing & Event Production. We will have various ideas for you to post and share from time to time, but be creative and have fun with this! Ambassadors are asked to use provided hashtags on their social media posts. We also want Ambassadors to lead, guide, motivate and inspire their friends and fellow runners! Word-of-Mouth! Tell your friends, family, running groups, and co-workers about the race. Wear your Ambassador apparel when participating in local races or at social runs. Our Ambassador apparel creates a great opportunity to share iTRI365 events with others. Ambassadors must be available for a minimum of one 4-hour shift or two 2-hour volunteer shifts at an iTRI365 event. The current Ambassador Application process has now come to a close. Please keep an eye on Facebook and right here on our website for announcements regarding the next selection period. Thanks for your interest! Questions? Need help? Please email itri365meredith@gmail.com for assistance.